Jamaican Hideaway. Beautifully renovated, romantic one bedroom condotel centrally located on Ocean Isle Beach, one block from the ocean and fishing pier, walking distance to local restaurants and activities. Second floor condo with all the extras! 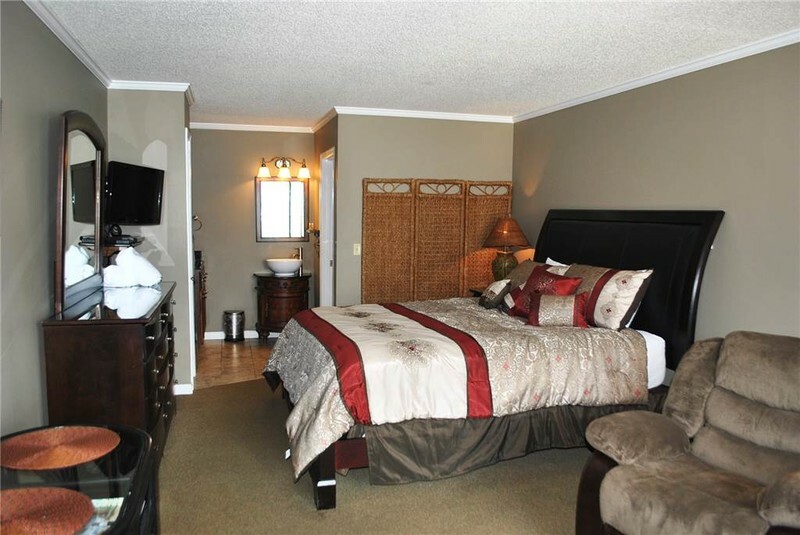 King size bed and separate sitting area with “His’ and “Hers” recliners for relaxing and watching your favorite television show. Other extras include a bistro table, in-room microwave, small refrigerator, Keurig coffee maker, wet bar, flatware and dishes, 2 flat panel TVs one is a smart TV with Netflix access, Blueray DVD player and hairdryer. On-site outdoor swimming pool for your enjoyment! NON SMOKING! All condos may be rented on a nightly basis. Free Wireless Internet!! Just a quick walk to the beach. Great Value!